Support your local wineries this holiday season buy gifting the perfect hostess gift! This holiday gift package offered by Great Estates Okanagan includes two bottles from iconic local wineries and comes pre-wrapped with a customizable holiday card! Two bottles is better than one 😉 and no wrapping is needed! Shop the gift package here. If you know someone who loves green beauty, Clove + Hallow is a brand to discover, and gift this season. Their line of cosmetics is vegan and cruelty-free, and performs like conventional makeup. They have a great range of lip shades with amazing pigment, like this lip velvet in Fiesta. Perfect colour for the holiday season! The conceal + correct concealer has great coverage too. Shop their line here. Some of a Kind offers a carefully curated and unique collection of textiles and home decor items that are sourced globally. From pillows, to baskets, to throws and wall decor, you are bound to find something special for the home decor enthusiasts in your life. 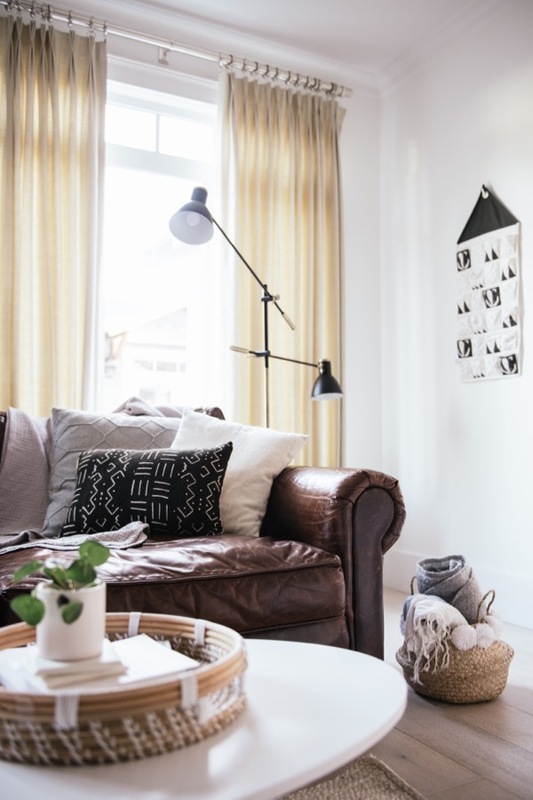 I especially love the African mud cloth pillows for adding texture and pattern to a space! Shop their collection here. It is the season of traditions, gift giving… and catching colds. Scentuals offers a range of 100% natural aromatherapy products that are affordable, fair trade and cruelty-free. Keep your loved ones healthy this season by gifting a variety of cold-fighting products from Scentuals, with a diffuser! They will be sure to thank you!! Not only do the oils smell amazing, they also do the trick. Shop their products here. 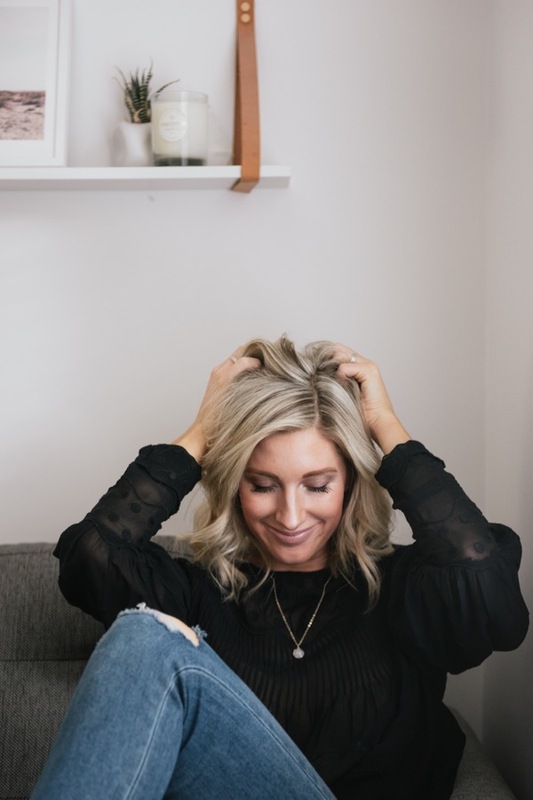 One of my all-time favourite local jewellery designers is Keltie Leanne. I have been wearing her designs for years. I love the simple yet sophisticated style; it’s the perfect everyday jewellery. Keltie’s pieces are meticulously crafted with the best quality materials and are offered at a great price point. Gift a little sparkle this year to your special friends and family! They will think of you each time they wear it ♥ Shop Keltie’s designs here. Halo Salon is located in Kitsilano and is run by a husband and wife team. The salon is welcoming, professional and the stylists are amazing at caring for your hair. It can be hard to find the time to care for yourself, yet it instantly makes you feel better! Gift someone special in your life a hair treatment at Halo – whether that be colour, cut or a wash and blow dry. They are so deserving of that time for themselves, and they will be very grateful for the experience! A great idea for new parents especially! Book an appointment or purchase a gift card here. From deserts to beaches, Shelan of City & She has captured the world behind her lens in such a creative way. Her selection of prints transport you to a peaceful place. A perfect gift for the art & photography collectors in your life! 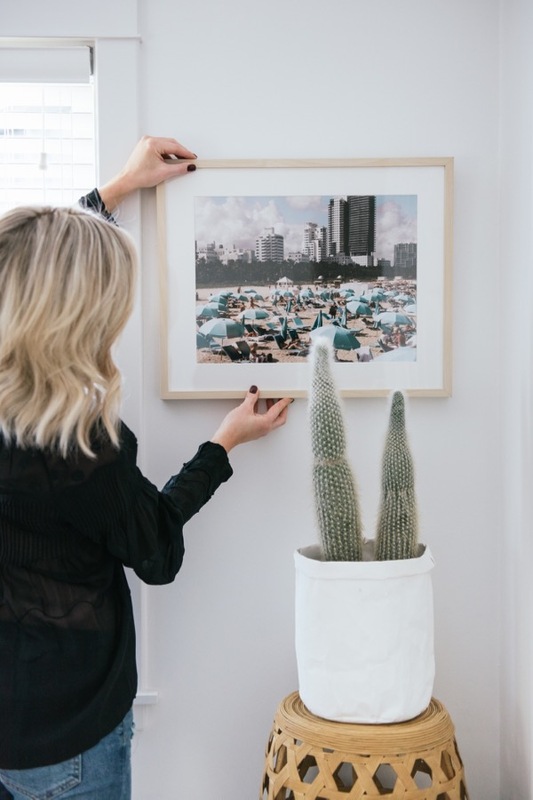 Choose from a selection of prints in various sizes. In the spirit of giving back, City & She donates a portion of all proceeds to select charities around the globe. Shop her collection here. When it comes to gifting clothing, a wardrobe staple is a safe way to go. You know your loved ones will have lots of opportunities to wear those pieces, and in so many ways! Plenty offers a variety of easy, everyday-wearing pieces, like this Sienna Coat (that comes in two colours). I love the simple design as it works for so many different body types. Price point is just under $300 which is a great price for a coat! Shop the coat here. 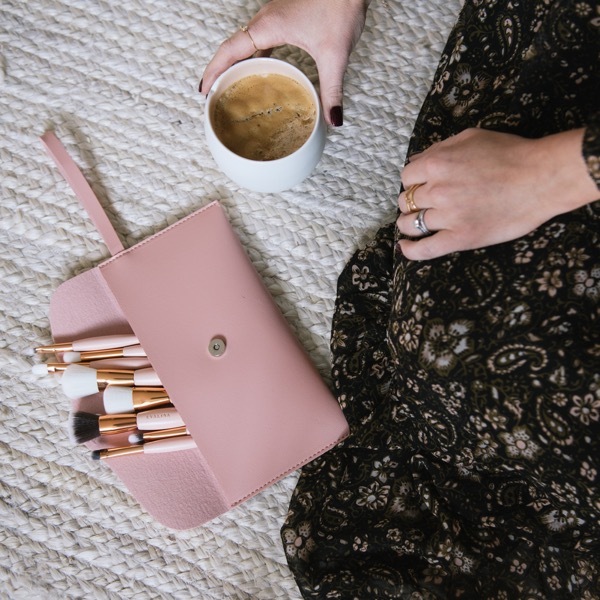 Evalina is a cruelty and paraben free beauty brand that will be launching next Spring, but you can get your hands on this brush set before the holidays! They have created this gorgeous set, consisting of all the essentials! Buffing foundation brush, flare highlighter brush, blush/contour brush, concealer brush, crease brush, large shadow brush, angle liner brush, and an eyebrow liner brush. From the rose gold detailing, to the quality vegan-friendly synthetic bristles, this set is sure to impress. The beautiful case alone will grab your attention, and I love the thoughtful words printed on the back too! Shop the set here. There is something to be said about gifting experiences. Whether it is something to do with a special person in your life, or something for them to do on their own. It is a thoughtful way of showing how much you care about them! 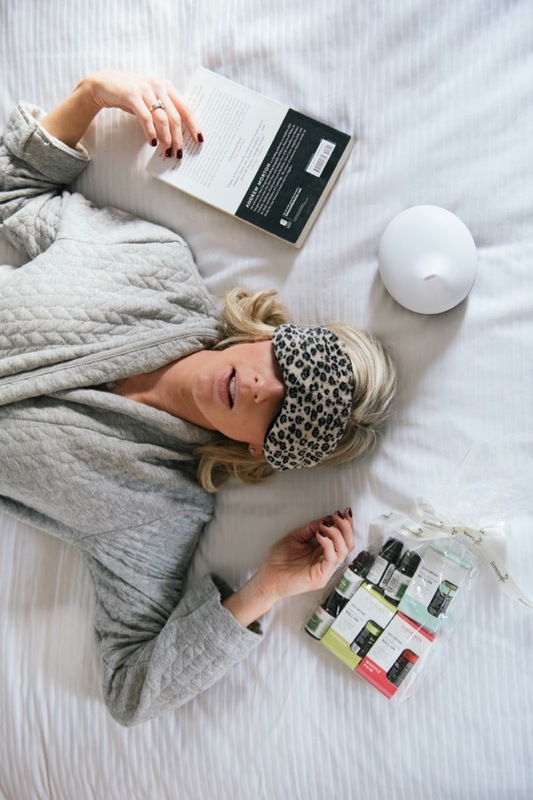 As a mom, I love the idea of gifting a night away (with a full night of rest! ;-)). 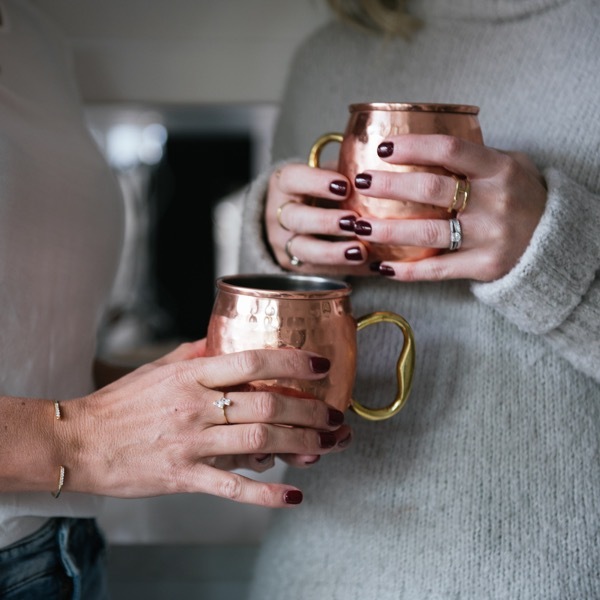 Give your Mama friends a well deserved break this holiday season with a one night stay at The Burrard. 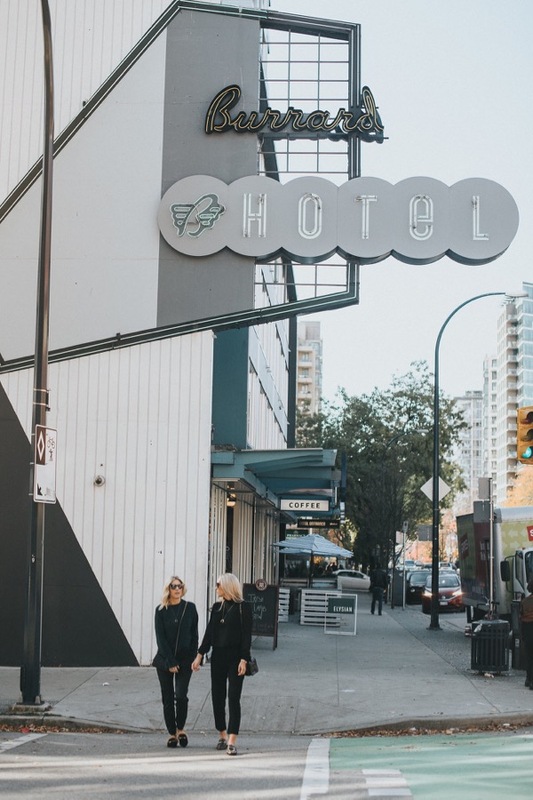 This affordable boutique hotel is located in the heart of downtown Vancouver; it has character, great rooms and a an amazing coffee shop and restaurant in the base of the hotel. Book your stay here. Well we have exactly two weeks until Christmas, so it’s time to get our shopping done!! I can’t wait to hear your thoughts on the suggested Ten Thoughtful Gifts To Buy This Holiday Season! Please share your shopping experiences with me in the comments!